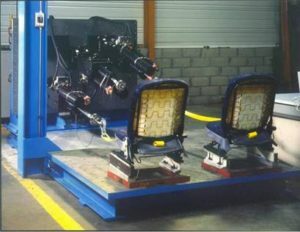 The test bench is dedicated to test the resistance of the seat belt anchorages of one or several car seats. The bench is dedicated to test the resistance of the seat belt anchorages of one or several car seats. The constraints are applied by 3 to 9 hydraulic actuators acting on several anchorages simultaneously and in define time (less than one second for the high speed model). The forces applied are only tensile whose values ​​may be different on each axis. 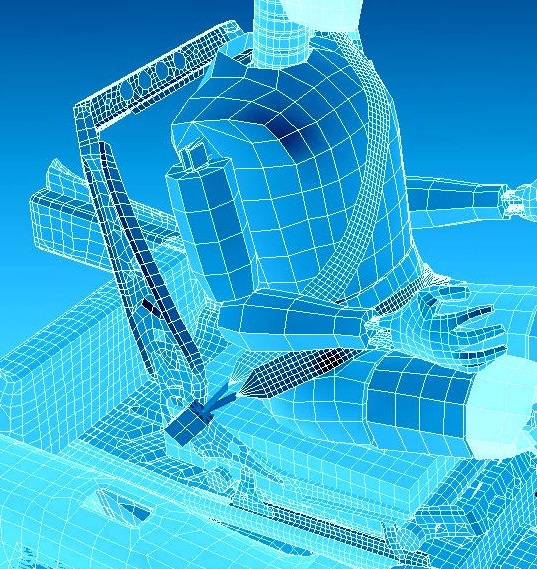 The actuators are completely independent and identical, and simultaneous efforts between actuators are respected. 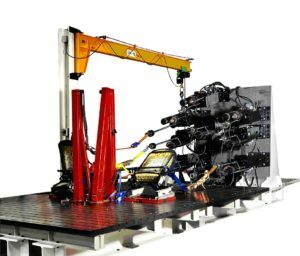 Seat belt anchorage test benches are available with 3 ,6 or nine actuators. Available with SPS 600 ECE 14 special software suite.